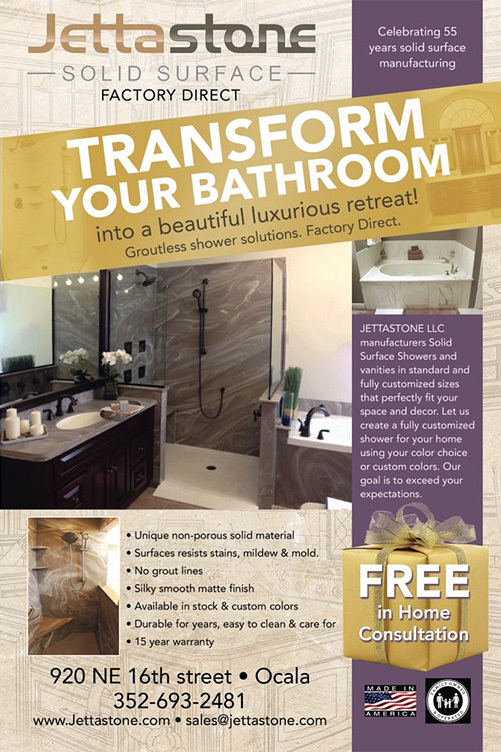 Transform your bathroom into a beautiful, luxurious retreat with JettaStone. Our durable, non-porous, solid surface material is excellent for wet areas such as showers and bath tub surrounds, vanity bowls and countertops. Shower walls made of JettaStone have no grout lines and the surface resists mildew and bacteria growth. One piece panel construction eliminates the chance of mold from occurring behind your walls and under your floor. JettaStone has no grout lines, maintenance and cleaning is a breeze. 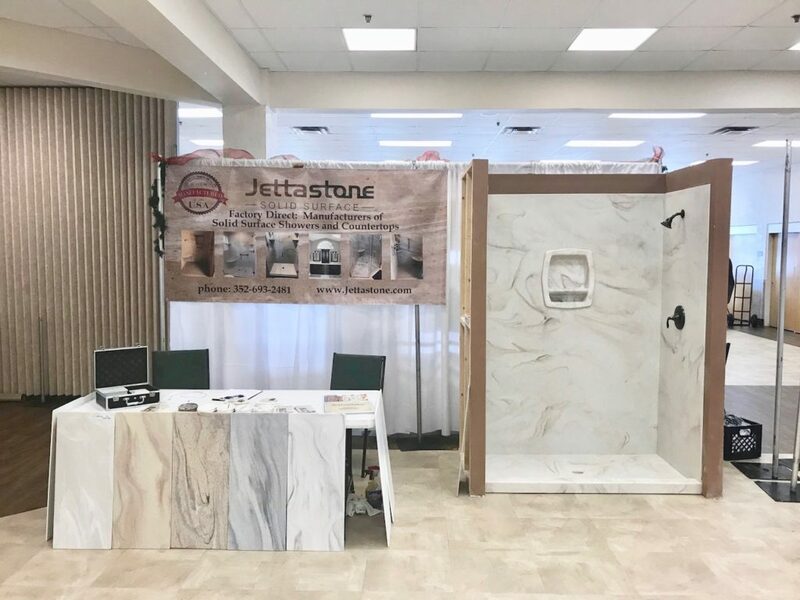 JettaStone has a silky smooth matte finish and is available in a wide variety of colors in solid, solid with vein, and granite look. Easy to care for and will remain beautiful and looking like new for years to come with minimal care. JettaStone resists stains, mildew and mold. 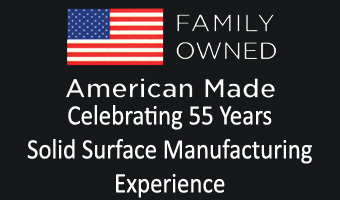 When you buy Solid Surface materials from JettaStone LLC you’re buying a product manufactured in the USA. Our custom color selection is unmatched by any other manufacturer. This is because your JettaStone designers customize each color to flow with your space. The color and particulate pattern goes completely throughout the thickness of the material. You’ll be invited to be involved in every facet of the color selection which guarantees your complete satisfaction with your finished bath. Sooner or later the grout in every shower has the potential to develop leaks allowing the water to damage the walls and sub-surfaces creating wood rot, mildew and mold. These surfaces must then be replaced, so replace them with Solid Surface material and put an end to the chore of cleaning grout lines with hazardous chemicals. Best of all, Solid Surface material guarantees an end to future water damage originating from leaks through the surface material. JettaStone is also the distributor of a complete line of walk-in bath systems and whirlpool bathtubs. Our design and jet placement gives you the maximum Hydro Therapy experience by placing jets at your back, hips and feet. All of our tubs are totally insulated to retain heat, eliminate motor noise and vibration. Check out the audio ads we made for fun !!! You may hear one of these play on The Villages Radio.